Join the 15% For the Future Campaign! The Sierra Club Maui Group and Maui Tomorrow have filed a lawsuit challenging the approval of an environmental impact statement for Anaergia Services’ project with Maui County for a renewable energy conversion and sludge processing project at the Wailuku-Kahului Wastewater Reclamation Facility. The project led by Anaergia’s Maui All Natural Alternative aims to install an anaerobic digester to produce methane gas from energy crops grown on 500 acres of former Hawaiian Commercial & Sugar Co. lands. The gas would be refined at the Kahului wastewater facility site and fuel a combined heat-and-power engine to generate electricity for the treatment plant located on 18.8 acres next to the ocean on Amala Place. Undried sludge has been used for years as raw material for Maui EKO Systems to create compost at the Central Maui Landfill. Without the sludge, EKO is expected to go out of business. According to the plaintiffs’ announcement of the lawsuit, the project entails trucking sludge from wastewater facilities in Kihei and Lahaina to the Kahului facility to be dried using methane gas byproducts of the plant’s anaerobic digestion project. The announcement says that Anaergia was the sole bidder for the project. Anaergia holds a county waste-to-energy landfill gas contract, which an independent auditor determined would cost the county $35 million more than anticipated, the plaintiffs said. They also contend the environmental review failed to adequately consider predicted sea-level rise. There was no immediate comment Thursday afternoon from Maui County or Anaergia. County officials have said Anaergia would develop the facility at no construction cost to the county. In return, the county would pay 29 cents per kilowatt hour for electricity produced at the plant. The cost of disposing the sludge would be reduced from $103 to $80 per ton by switching from EKO Compost to Anaergia, officials said. Built in 1973, the wastewater treatment plant can treat up to 7.9 million gallons of Central Maui wastewater daily. The plant is forecast to reach its treatment capacity by 2030. KAHULUI, MAUI – The Sierra Club Maui Group and Maui Tomorrow are challenging Maui County and Anaergia Services’ proposed sludge farm and power plant along the Kahului shoreline by filing a lawsuit in Maui’s Environmental Court today. The groups are represented by attorney Lance D. Collins. (Kahului Wastewater Facility) would be trucked to a site at the Kahului Wastewater Facility and dried using methane gas byproducts of the anaerobic digestion of “biocrops” grown on 500 acres of former sugar cane lands, with additional energy from a propane burner. This process is also proposed to generate electricity for the Kahului Wastewater Facility. The project was first proposed through a county procurement. Anaergia was the sole bidder in that process. Anaergia also currently holds a County waste-to energy landfill gas contract, which an independent auditor determined will cost the County $35 million more than anticipated when procured. 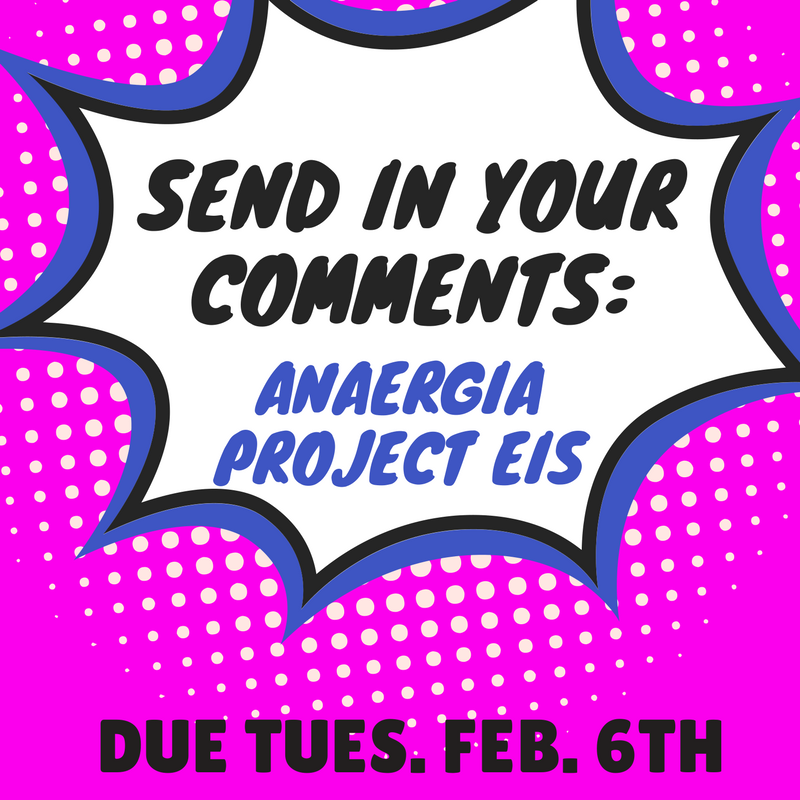 The community groups challenge Anaergia’s preparation of the EIS, as opposed to the County, for reasons including the County’s unwritten policy of imposing less strict oversight over projects for which they have outside entities prepare an EIS. The proposal will result in nearly 3,130 tons per year of dried sludge and nearly 30,000 tons per year of biocrop byproduct “digestate,” but the EIS does not indicate how the County will dispose of them. Anaergia/MANA has submitted a Draft Environmental Impact Statement (DEIS) to the county, which must be approved in a final form before the project can move forward. The deadline to comment on this Draft EIS is Tuesday, February 6, 2018. We urge Sierra Club Maui members and supporters to submit comments on the Draft EIS. At first glance, the project might look eco-conscious and economically viable – but when you delve into the details, it becomes very clear this project has not been properly vetted. Here is the announcement of the Draft EIS (PDF) in the December 23, 2017 OEQCʻs The Environmental Notice. The Draft EIS is available for download here (large PD). KAHULUI — Maui EKO Systems, which has processed the island’s green waste and county sewage sludge into compost for nearly 23 years, could be put out of business as early as the end of next year because of a proposed renewable energy project at the Wailuku-Kahului Wastewater Reclamation Facility. 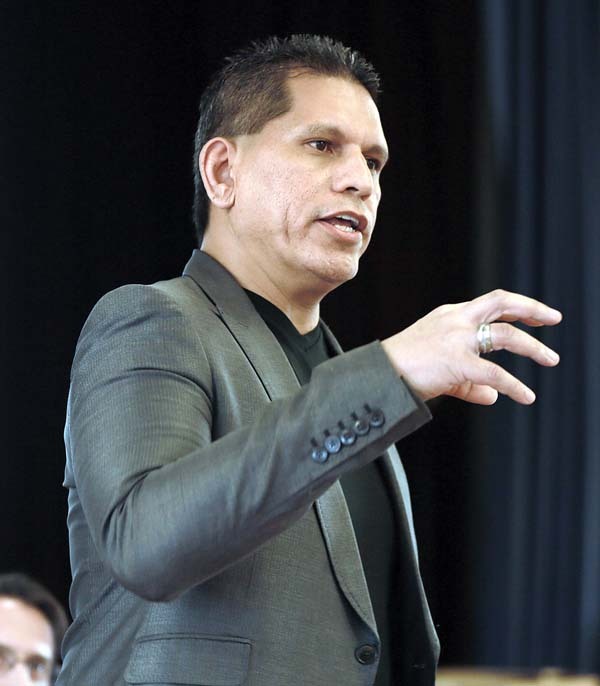 The closure stands as one future impact among several other potential problems residents voiced during a community meeting focused on the project led by Maui All Natural Alternative, an Anaergia Services company, on Wednesday at Kahului Elementary School. Officials with the energy company and county Department of Environmental Management provided a brief presentation and answered questions during their first public meeting on the project. An environmental impact statement is nearly completed, and a final draft is expected later this year. “No project I’ve ever seen in my 27 years with the county is perfect, but I think this consists of everything we’re looking for,” Environmental Management Department Director Stewart Stant told the crowd of about 40 people. The project calls for installation of an anaerobic digester to produce methane gas from energy crops grown on former Hawaiian Commercial & Sugar Co. lands. The natural gas would be refined on-site and fuel a combined heat-and-power engine to generate electricity for the sewage treatment plant. Waste heat from the plant’s engine would dry biosolids, or digested sewage sludge, produced by the plant. The anaerobic digester would be located on the west side of an existing aerobic blower building. The treatment plant is next to the ocean on Amala Place in Kahului. The Kanaha Pond Wildlife Sanctuary is inland of the sewage treatment plant, and Kanaha Beach Park and Kahului Airport are located to the east. Anaergia and county officials said the renewable energy project would provide 4.5 million kilowatt hours of electricity per year and dry the county’s 24,000 tons of biosolids annually. The biosolids would be treated and returned to the county to possibly be used as fertilizer for parks, including the Waiehu Municipal Golf Course. The energy company would develop the project at no upfront construction cost to the county and charge the county 29 cents kWh as part of a 20-year contract. Residents and environmental watchdog groups took issue with the charge per kilowatt hour, which is more than double what Maui Electric Co. pays wind farms and for fossil-fuel generated power. Doug McLeod, vice president of the Maui Tomorrow Foundation, said the price is high because the county advertised the project as “gas turbine to dry sludge,” which solicited just one bid from Anaergia. He added that there seemed to be “a lot of very strange aspects” in the deal that he believed was not the most cost-effective for taxpayers or the safest for the environment. “When you look at this price 29 cents that is well more than double the current market price for solar power,” McLeod said Thursday. “It would seem to be a lot more than other renewable options, but we don’t know that because the county didn’t ask” for alternatives. McLeod, who also runs an energy consulting firm and is the former county energy commissioner, said many solar companies did not bother to meet with the county to discuss the project because of the clear restrictive language that favored Anaergia. He believed only Pacific Biodiesel showed interest. Raff Corwin also questioned why the county did not seek separate solutions for disposing of biosolids and producing energy. She wondered why the treatment plant proposal needed to combine both aspects into one and was concerned about air quality and odors produced by the plant. 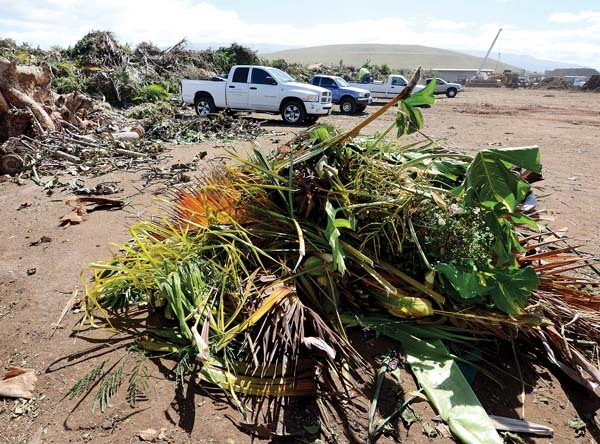 In 2014, Anaergia, a California-based company, signed a separate 20-year contract with Mayor Alan Arakawa’s administration to build a waste conversion facility at the Central Maui Landfill. Anaergia and county officials acknowledged that the wastewater treatment plant waste-to-energy project would be related to the landfill project because it would provide dried sludge for the landfill waste conversion project. But they maintained the contracts for the projects were separate. McLeod said he is skeptical of the landfill waste-conversion facility, which has yet to have an EIS preparation notice published. Anaergia had previously tried to build an energy plant using wastewater in 2015 but was shot down by the Public Utilities Commission. As for EKO, the company’s current contract with the county ends in June, but the two sides will likely extend until the end of 2019, plant manager Rubens Fonseca said Thursday. The company has 20 workers. The composting operation was established to extend the life of the landfill by diverting green waste and sludge. “I hate to see this product that has been offered to landscapers and farmers here almost 23 years going to be gone,” he said. * Chris Sugidono can be reached at csugidono@maui news.com.